USDA FSIS has awarded a contract to 3M Food Safety for its pathogen detection instruments and kits. 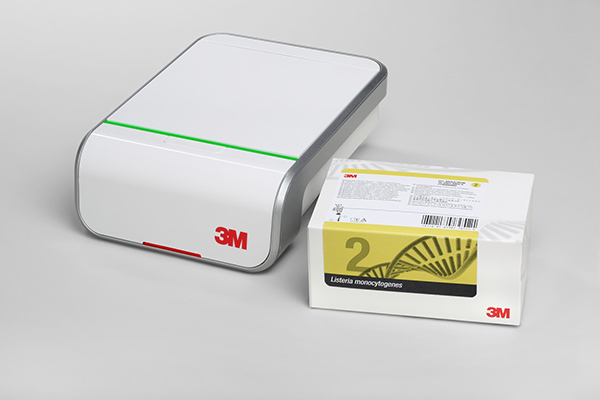 3M’s molecular detection system will be the primary method used by the agency to detect Salmonella, Listeria monocytogenes and E. coli O157. The technology combines isothermal DNA amplification and bioluminescence detection for a fast, accurate and simple solution that also tackles some of the constraints of PCR methods. Users can concurrently run up to 96 different tests for many organisms across food and environmental samples. 3M Food Safety has received the AOAC Research Institute’s Performance Tested Method Certification for its Petrifilm Rapid E.coli/Coliform Count Plate. Introduced in February, the rapid microbial test helps food and beverage processors detect the presence of E.coli and other coliform bacteria. The test can recover E.coli and distinguish it from other coliforms within 18–24 hours. The AOAC PTM designation validated the count plate as an equivalent alternative to FDA and ISO standard references to enumerate these bacteria. The evaluation was performed by an independent lab on food and environmental surfaces that include raw and pasteurized dairy products; raw and prepared meat; poultry and seafood; fresh fruit and product; and baby food, pet food and flour. 3M Food Safety is also pursuing MicroVal validation in accordance with ISO 16140-2. 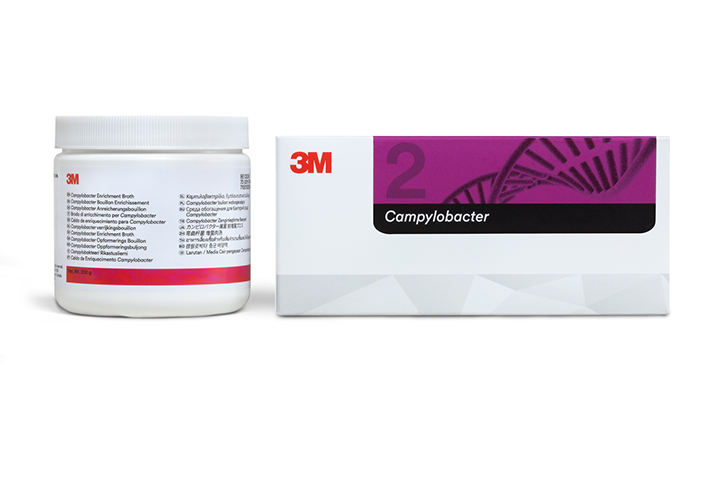 3M Food Safety has launched the 3M Molecular Detection Assay 2 – Campylobacter with 3M Campylobacter Enrichment Broth. Poultry producers now have a complete solution for simultaneous monitoring of poultry for both Salmonella and Campylobacter. It can perform up to 96 tests of multiple types in a 60-minute run. The Enrichment Broth requires just five steps and eliminates the need for microaerophilic incubation, supplements, blood, organic solvents or autoclaving the broth, only requiring the addition of sterile water. For more information, visit 3M’s product website. 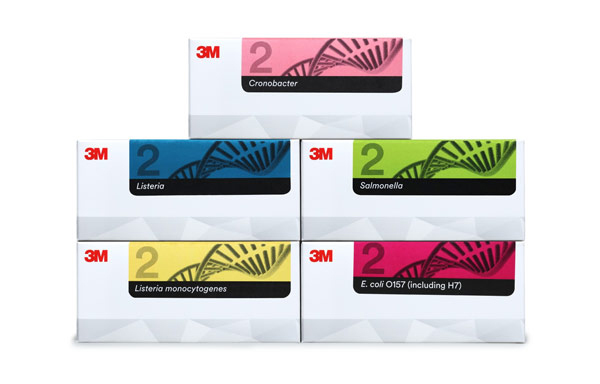 Last week, 3M Food Safety announced their 3M™ Molecular Detection Assay 2 – Cronobacter was designated by AOAC International as Performance Tested Method (Certificate #101703). The assay is compatible with their Molecular Detection System, which uses isothermal DNA amplification and bioluminescence detection to test for pathogens. Cronobacter, a type of bacteria commonly found in powdered foods, supplements and baby formula, can survive for almost two years and exposure to an infant can be life-threatening. 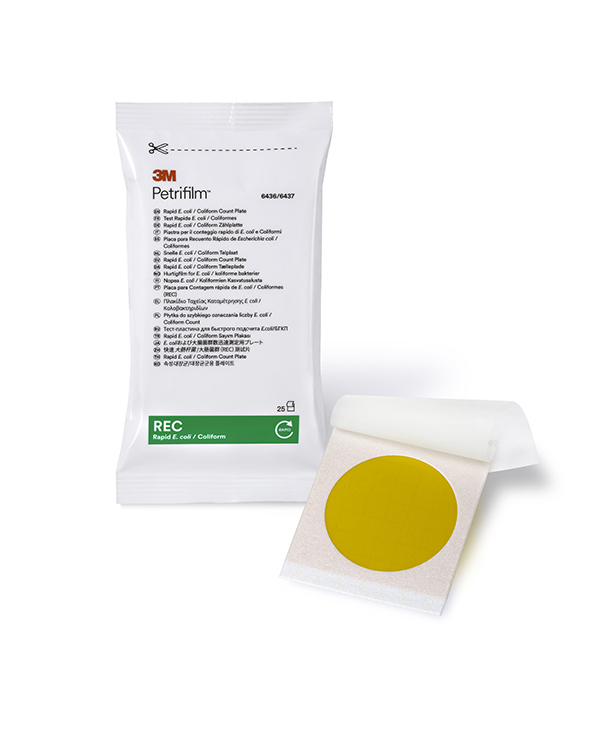 Using approved protocols set by the AOAC Research Institute, 3M’s testing process used an independent laboratory. They tested the assay on powdered infant formula, powdered infant cereal, lactose powder and an environmental surface. 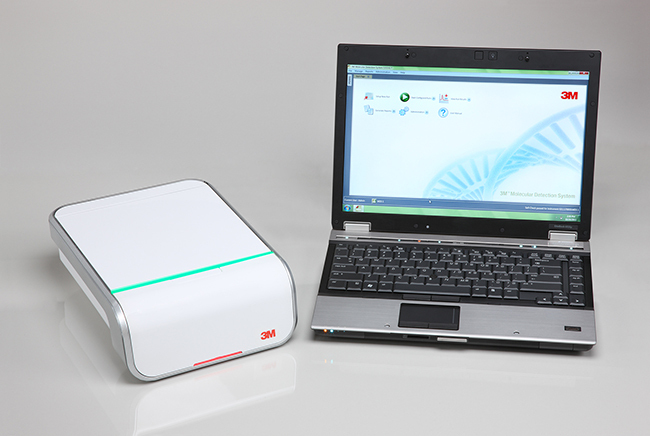 3M has announced that its Molecular Detection Assay 2 has won the Gold Edison Award in the diagnostic tools category. The 2017 Edison Awards recognize innovators that have had a positive impact globally. The assay platform is a next-generation of tests, which also previously won an Edison award. The technology is powered by isothermal DNA amplification and bioluminescience detection to provide a faster molecular detection of pathogens. Its single assay protocol enables batch processing of up to 96 different samples simultaneously and can provide same-day results. The platform can be used to identify Salmonella, Listeria, Listeria monocytogenes, and E.coli O157 in food or environmental samples, and Cronobacter in powdered infant formula. The new test was developed in response to customer engagement and a desire to work with food processors to protect the world’s food supply, says 3M Food Safety. (PTM) program. Developed by 3M Food Safety, the assay is based on isothermal DNA amplification and bioluminescence detection technologies. With a streamlined workflow that is 30% faster than the first generation assay, the new test is designed to provide expedited, simple and more accurate real-time pathogen detection. Obtaining AOAC PTM status involved a thorough independent lab examination of the test method’s ability to accurately detect Listeria monocytogenes within a variety of foods. During the validation study, analyzed food samples included beef hot dogs, queso fresco cheese, vanilla ice cream, 4 % milk fat cottage cheese, 3% chocolate whole milk, romaine lettuce, bagged raw spinach, cold smoked salmon, deli turkey, raw chicken, cantaloupe, and various environmental surfaces (plastic, stainless steel, concrete). Achieving AOAC PTM approval certifies that the test kit is equivalent or better than standard reference methods, according to 3M Food Safety.